Council Passes Sustainable Clean Energy Bill! 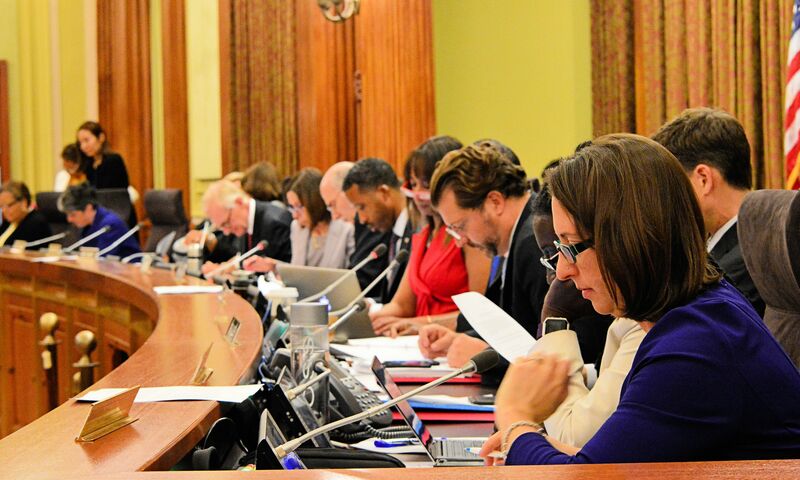 Just moments ago, the District of Columbia Council voted unanimously to pass Bill 21-650, the Renewable Portfolio Standard Expansion Act of 2016. This bill does a number of important things including raising the District’s renewable energy targets from 20% by 2020, to 50% by 2032, a significant and meaningful increase. Additionally, the bill’s Solar for All program supports ongoing efforts of the DC Department of Energy & Environment (DOEE), to bring clean and affordable energy to those that need it the most. It does this by requiring DOEE to develop and implement a plan to reduce the electric bills of 100,000 low income District households with high energy burdens by half by 2032. The net impact of this requirement will be increased utilization of solar energy to help families stay in their homes and use their income for other important essentials. This bill is the embodiment of a public policy that aggressively embraces sustainability principles that strive to protect the economic and environmental wellbeing of low income residents. The DC Environmental Network urges Mayor Bowser to sign the bill ASAP!